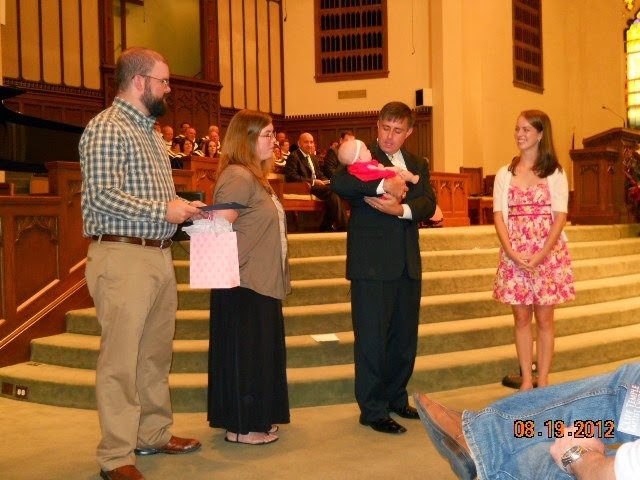 This is a photo of Drew, Myself, our Pastor and our Children's minister at Olivia's baby dedication. I love that my husband finds this important - that we present ourselves as a family before our church, vow to raise our children in a Godly home, and ask for support from our church family. 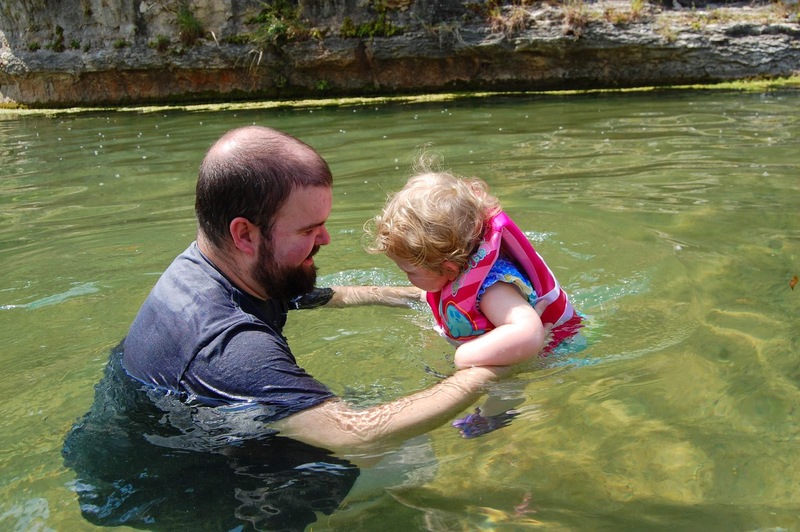 He is a leader in our church, teaching Sunday school, volunteering for nursery duty every so often and even accompanying the youth group on a backpacking trip. He shows our children by example what it is like to love the Lord your God with all your heart and to love your neighbor as yourself. Taking the girls and I to church is a priority for him, and we are so blessed to have a strong Spiritual leader in our home. In the nearly 9 years Drew and I have been married, I could count the number of days he has taken off work for personal reasons on one hand. He is dedicated to his teaching job not for the money (obviously), but for the sheer fact that he has incredible work ethic. He cares for those he comes in contact with each day (hence the Funniest Teacher Award hanging on his classroom wall) and then comes home and works some more. 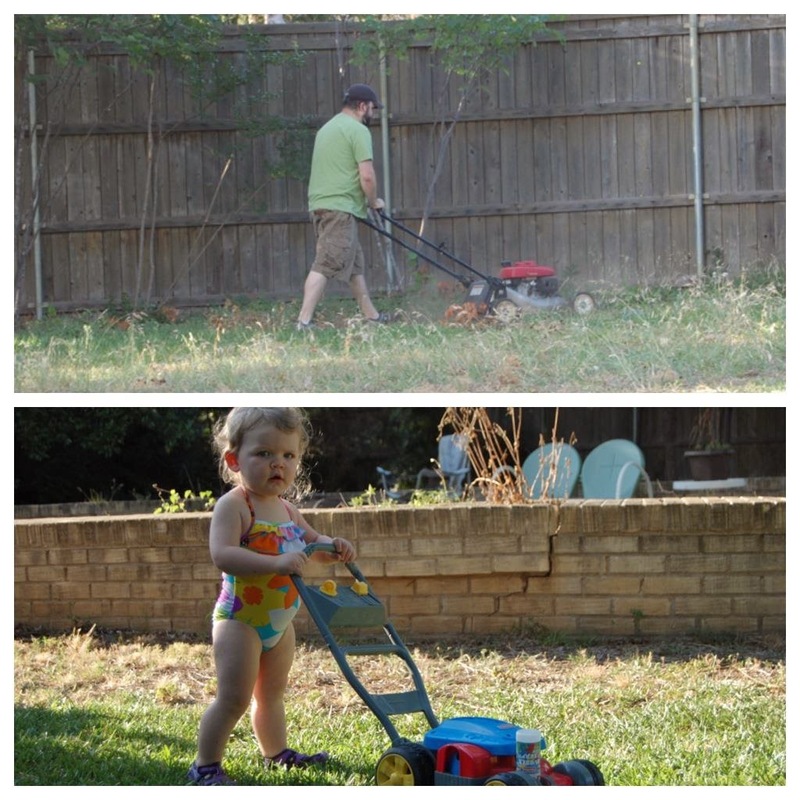 He sets an excellent example for our daughters in his work ethic. I love this photo because it is proof that the girls are watching and learning by his example. He does it without grumbling, always pushing on even when he is tired or doesn't feel like it. One of the biggest reasons why I married Drew, and one of the biggest reasons my girls are so blessed to have him as a daddy is that he loves to have FUN! 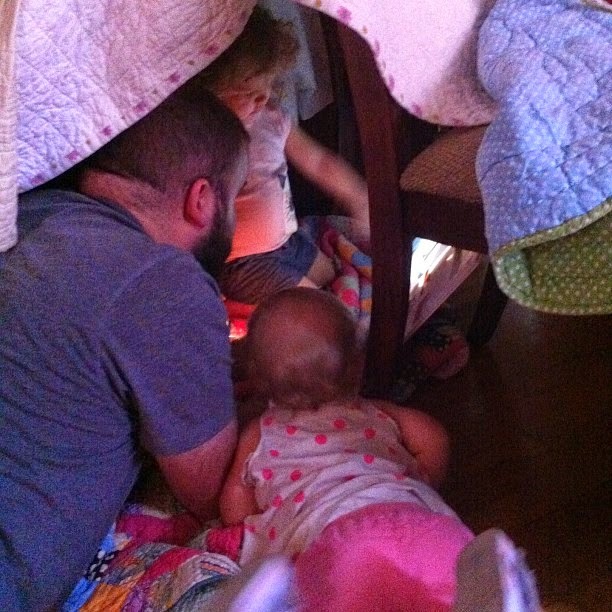 Whether it be a simple fort in the living room with blankets and dining room chairs, a trip to the park, or a family vacation. 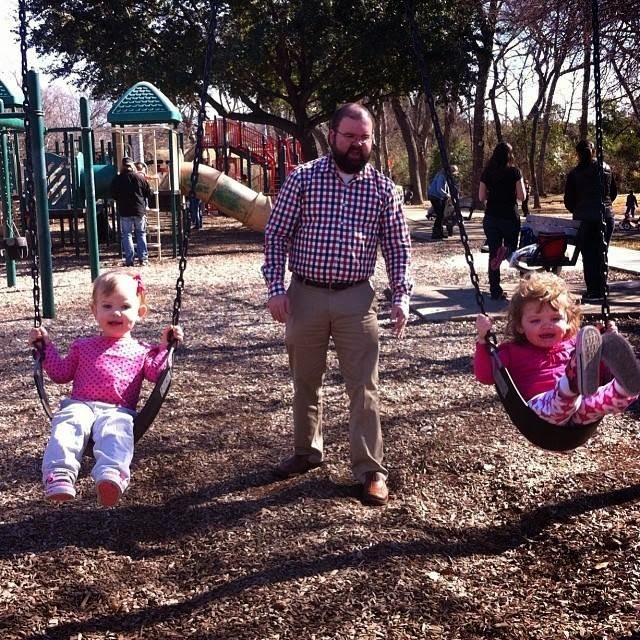 He is showing our daughters that it is important to have fun and what GOOD fun looks like. I asked Izzy this morning what her favorite thing about her daddy was and she said "he likes to tickle me and then I laugh." They love his fun loving side, too! Who wouldn't? I love the quote by Emilie Buchwald that says "Children are made readers on the laps of their parents." This is certainly true in our home. 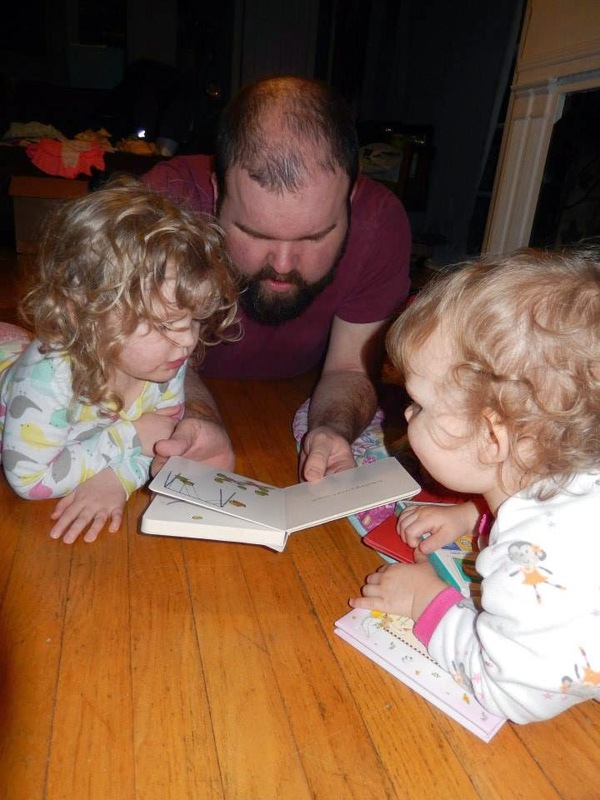 Drew makes it a priority to read to the girls before bed, whether it be one book or ten. We love trips to the library and book stores, too. Just part of ensuring that our girls find worth in being educated and being a child of God, not in being pretty (even though they are and he does make sure to tell them so). He is such a great daddy to teach them this valuable truth. Our girls feel safe with daddy - they know he will protect them and he always encourages them to try new things, even when it is hard. Being around daddy makes my oldest, Izzy, fearless. If he isn't at home at night, she doesn't sleep as well. 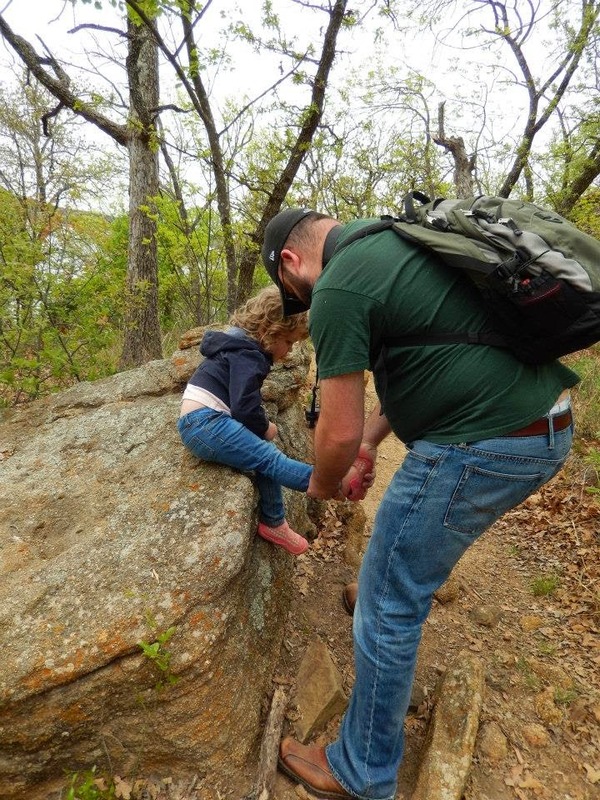 He is kind enough to stop on a trail and empty her shoes of dirt, but still encourages her to keep going. Such a great balance that my girls are lucky to have in their lives. Drew, we are so blessed by you. Thank you for your tireless hard work, your dedication to your family and your Heavenly Father and for making us feel safe and loved. And to you, reader, Happy Father's Day! May we recognize the wonderful father's in our lives and help each other raise a generation of boys to be excellent Fathers in the future!